Going through a Yoga Teacher Training is an exciting time. What starts as a nudge to take your love for yoga to the next level leads you to new place with new people with adventure and uncertainty around every corner. While it’s hard to truly prepare for a yoga teacher training, there are few keys things to keep in mind before your training to help you prepare, stay present, and get the most out of your training, no matter what happens. If you’re still trying to decide whether a yoga teacher training is right for you, I recommend you read my previous post Yoga Teacher Trainings vs. a Yoga Retreat or Yoga Vacation to determine which is right for you. If you’ve already registered for your Yoga Teacher Training, first of all- Congratulations! Here are my top 5 tips I’ve gathered after my years of leading YTTs in Costa Rica and California. I’ve seen a lot of students over the years come to my trainings wanting it to serve as an exotic getaway or personal therapy session, but they are quickly let down when they realize that this is not the setting for relaxing on the beach and venting about problems. This is a time for deep study. Inner work will be done. Breakdowns will happen. Personal growth is inescapable. But all of this comes from learning how to teach yoga from a grounded and stable place. Teacher Training is so much more than learning postures and sequencing. No matter your level of experience or knowledge of the asanas, you will dig deeper into the other limbs of yoga. You will study anatomy, physiology, yoga philosophy, and how to guides students safely through the many variations of a pose. Because of this, you need to come ready to learn and move beyond your personal practice. 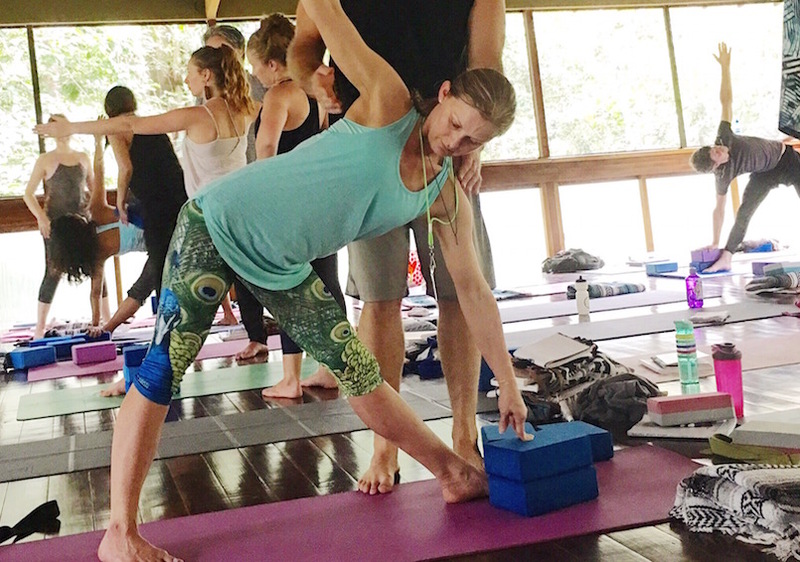 Your personal practice is a great foundation, but teacher training is about more than just you. It’s about creating a safe space for others to explore all that you love about yoga in a safe and therapeutic way. There is a lot of support at teacher trainings. Along with the instructor there are teaching assistants, staff, and fellow students willing to offer a helping hand, but you also need to be able to hold your own. Do your research before you leave. Read all about where you are going. Make sure you have all of the items on the “what to bring” list. If you have specific needs for your diet or lifestyle, communicate them early on and pack what you need for travel. When you rely too heavily on others to meet your physical and emotional needs, it doesn’t leave you in a place of empowerment, and it brings the rest of the group down. It’s all too easy to idolize your teachers. I know it’s great to think that someone out there has it all together. They have all of the answers. They have paved the way for who you want to be, and it is their responsibility to teach you absolutely everything you need to know to do the same. Well let me be the first to say that teachers are people, too. They are not perfect, and they don’t always have it all together. Yes, they have expertise that you are paying them to teach you, but remember they have feelings, insecurities, and are on the learning path with you. Show compassion and understanding when these imperfections show themselves. Let it be a learning opportunity for all. Even with all of of the prep work and helpful tips, the truth is, you never really know what is going to happen at your teacher training. It could rain for days. You could get sick. Your luggage could get lost. Or, you could meet your new best friend. You could even have the world’s greatest epiphany. You really never know. With my 10+ years of leading these trainings, I always think I’ve seen it all, and then I turn around and another crazy adventure has happened. The key is to count on things not going as planned. This way you stay open and living in the present moment. Which really is more on the yoga path, isn’t it? See, it’s all part of your training! Looking for more? Read up on a Typical Morning in Costa Rica to find out more about your upcoming Yoga Teacher Training in Costa Rica!